I-471 to east Memorial to left on Wilson to right on Bonnie Leslie. Home is on the right past Berry. Incredible opportunity to own this wonderful craftsman 3 bedroom, 2 bath home. 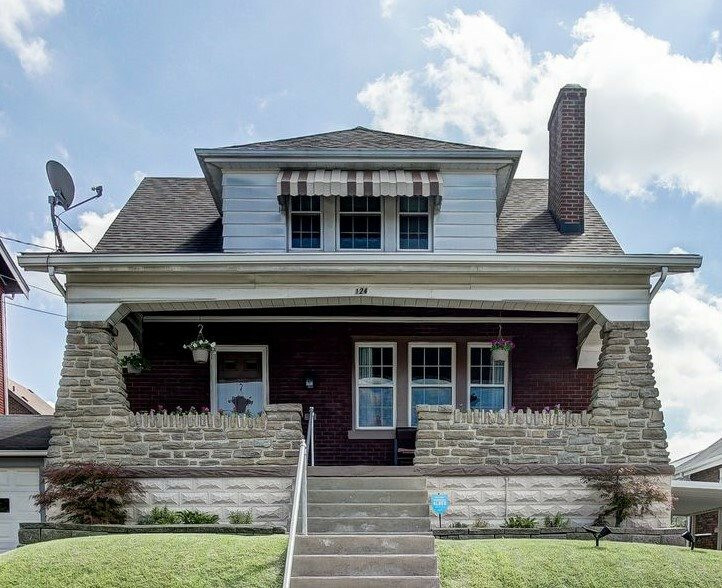 It has an original tile fireplace, beautiful hardwood floors in a picture frame pattern which have been protected by carpeting since the 80s, was recently painted light grey,very much on trend, and has a wonderful view of the Cincinnati skyline from the relaxing front porch. 5 minute drive to downtown, 2 mins to all sorts of shopping. Easy walk to all the shops and bars/restaurants of The Ave. You could easily relax around a fire pit with friends on the spacious patio as the weather chills. This is a must see!!!!! !